There are so many variables for all ages of bike buying. In the following paragraphs, we’re going to look at how to get your kids into cycling and how to maintain the buzz into adulthood. Watching my older brother and sister learning to ride, I couldn’t wait to get on a bike of my own. My first bike had stabilizers. I remember my dad taking them off and, suddenly, I had to learn how to balance a bike. Today, the professional advice is that kids learn cycling quicker on balance bikes. You only need to see the amazing race above to realise that balance bikes also teach kids a lot about momentum, conservation of energy, and even aerodynamics. Balance bikes are also a bucket load of fun, as this video clearly demonstrates. It’s alarming to see how fast your child zips off on their first pedal bike. If they’re upgrading from a balance bike, you’re going to considerably increase their speed. Choose safety and comfort first – an upright position, flat handlebars, low frame, and slick tyres. The lighter the better – avoid overbuilt frames that make a bike look “techy” and remember that a difference of just 1 kg, for a 10kg child, is 10 % of their bodyweight. Now think of how much you pay to save 100 g in weight. Spend a little extra to be kind to your kid! Get your kid the bike that fits them right now. Riding oversized bikes is dangerous for any number of reasons – but the greater sin is you’ll make it difficult to ride and your kid won’t enjoy it. If you want your kid to catch the bug, make sure they get an immediate reward every time they ride. If you’ve got younger kids, they’ll eventually grow into that bike, and you’ll only have to buy one new bike when your eldest grows out of it. 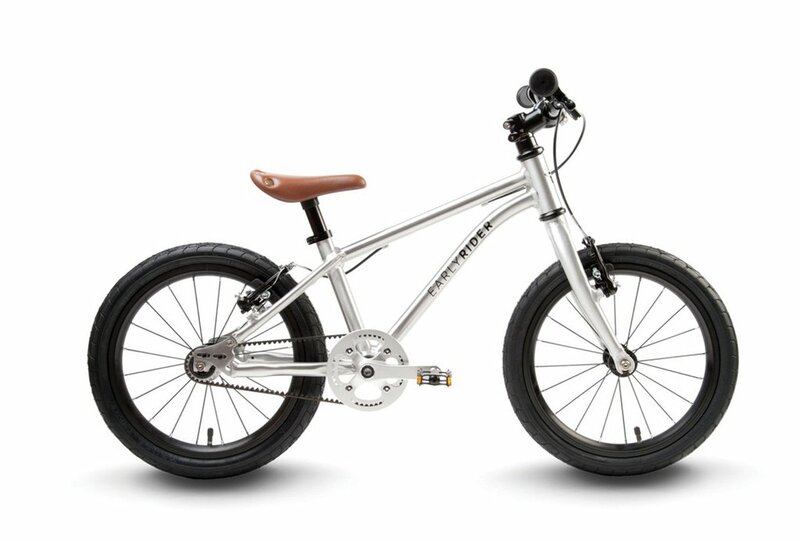 Pro-tip – buy androgynous bikes that will be just as loved by your kids, regardless of their gender. 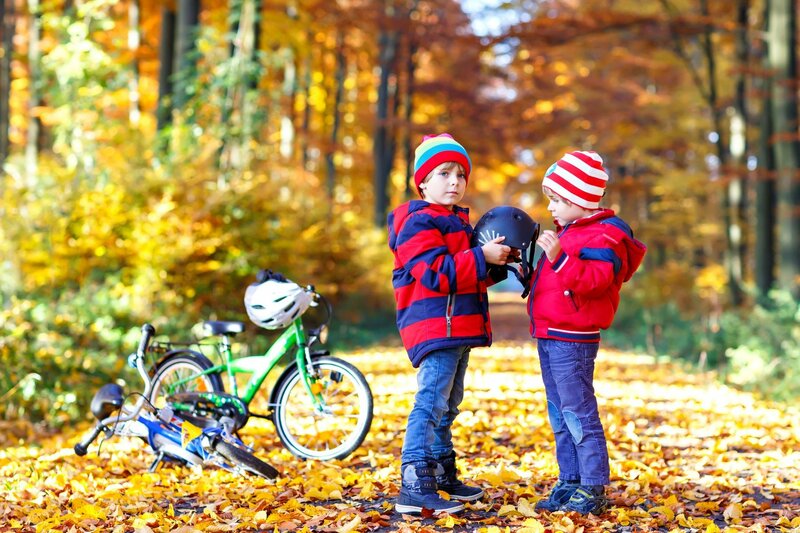 Your local bike shop will help fit the right bike for your kid. 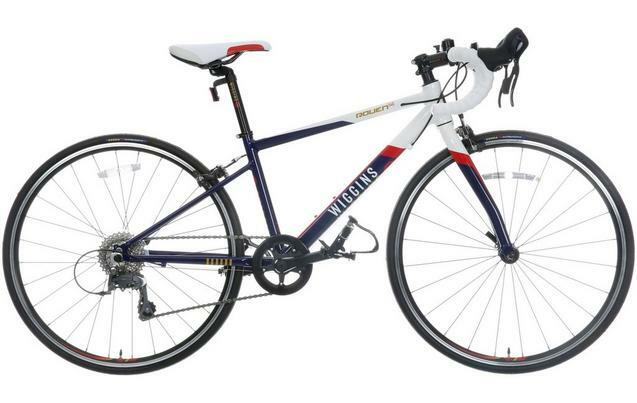 My dad loved road bikes and I couldn’t wait to graduate from my BMX to my first Peugeot racer at the age of 11. But if he’d loved downhill, I’m pretty sure my passion would be full suspension MTBs. Maybe your kid is expressing an extreme passion for a bike outside your comfort zone? The most important thing about buying a new bike is investing in something they’ll want to use every day. Encourage your kid to join you on rides, on or off the tarmac, and share your passion and experience. Remember, grease is grease, whether you prefer BMX parks or forest wilderness.